Sophie has been working in the fields of sustainable design and circular economy, behaviour change and material process through her design agency, Thomas.Matthews ltd for over 19 years and as Director of Design for Useful Simple Projects. 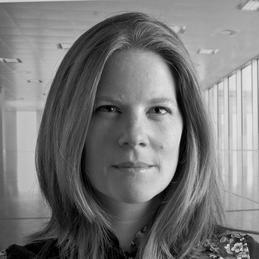 She has assisted global businesses and UK government organizations to define the role of designers within discussions around communication, waste streams, resource efficiency and circular economies, and has worked with major organizations on new models for circular business, internal communication of sustainable systems and external sustainability campaigns. In 2012, she founded The Great Recovery, a programme to build capacity and understanding of circular design in the materials supply chain, that ran through the RSA until 2016. She is a trustee of WRAP UK and the Useful Simple Trust, past trustee of the Design Council and was formally Director of Design and Circular Economy at the RSA.